Are you looking for kitchen gifts for your loved one? 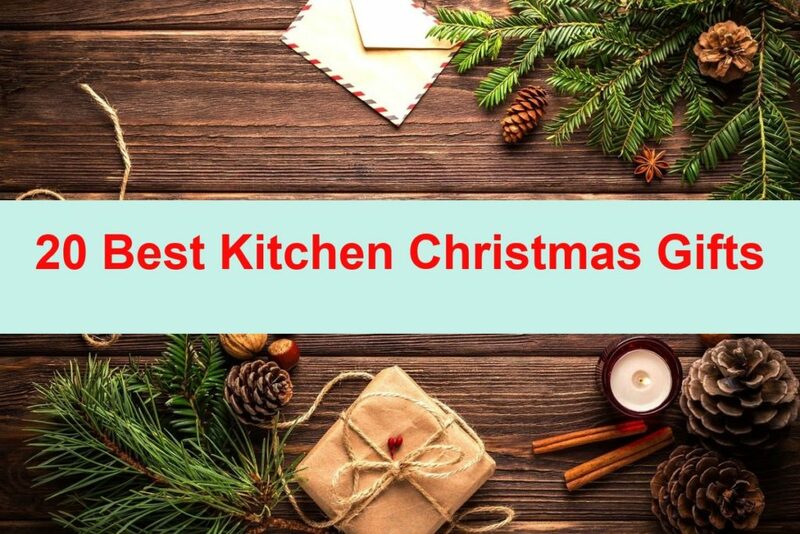 Here are kitchen Christmas ideas to help your loved one in preparing food. An instant pot helps you in various ways. It acts like a slow cooker, pressure cooker, steamer, warmer, sautés and a rice cooker. It is also fast for any busy chef. Opening pop-top lids and standard size cans shouldn’t be a problem anymore. Use a can opener because they have a side cutting system that leaves a smooth edge on your cans after removing their top. BEST RATED, LATEST 2018 DESIGN with UNMATCHED VALUE: Don't waste your hard earned money on other old & weak 5-blade designs. Our All New Improved 7-blade is GUARANTEED to be markedly stronger than any of the others on the market. You get a complete spiralizing bundle with 7 interchangeable blades, extra blade caddy for safe blade storage, printed color user manual, easy online quick-start guide with our demo videos, and 4 exclusive Spiralizer Ebooks with recipes you can make today! Get a sturdy vegetable slicer to prepare delicious salads for your guests. Use them to make garnishes and any other low carb diet to wow your family. The best thing about them is they are sturdy enough to garnish any vegetable. An accurate meat thermometer gives instant results from 4-7 seconds. It helps a chef measure the internal temperature of meat and other cooked food, whether roasted or baked. Get your friend this gift for delicious meat. This spice rack will help your chef friend to reach all spices easily while cooking. It also helps to keep things in order and prevents spices from spilling everywhere. It has 16 spice jars. A digital kitchen scale could be your friend if you are trying to make baking easier. You know how measuring ingredients can determine the taste of your food. It is one of the most adorable gifts you could buy for a chef. A cooking enthusiast needs a cordless electric bottle opener to quicken opening of bottle drinks. This opener can open up to 30 bottles in one charge. It also has a foil cutter to with a comfortable handle to remove seals. TIME SAVING: X-Chef 5-blade herb shear set is equivalent to 10 knife chops, which can snip fresh herbs, basils, or chives in perfect size onto plates quickly. Great for cutting paper, too. QUALITY DESIGN: Heavy-duty steel rivet holds the 5 sharp blades together securely for consistent performance. Ergonomic handle provides comfortable and good grip for cutting, chopping or mincing. A chef needs scissors to chop herbs and other toppings. Since they are heavy duty, a chef can use them to do a variety of tasks. They have five blades meaning that they quicken chopping tasks. Help your friend cook from anywhere with the Culinary Sous Vide Precision cooker Wi-fi. It can fit on any pot, and a chef can cook any meal like those of restaurants. Help your giftee mix up stuff in the kitchen with this hand mixer. It has an advanced design that quickens the mixing process by giving excellent results. Surprise your loved one with this lovely fondue maker that suits broth, cheese and chocolate among other delicacies. It has a temperature control system and therefore suites many recipes. ALL YOU NEED! NO GIMMICKS - With our easy to use chopper you get only what you need, quality and long lasting durability in an easy to use design! No more tears while chopping onions if you get this tool. It minimises vapour from onions and is made of durable stainless steel. This means that it can handle many tasks and remain strong. You can’t miss this kitchen Gizmo strainer since it not only fits in all round bowls and pots but also saves space. What else would you need other than an easy to use a strainer? 100% NATURAL BAMBOO - This cheese board is the perfect size for any event and is super easy to clean after use for the next party. Impress your friends with this natural bamboo cheese board. PERFECT GIFT IDEA - The Artisware cheese serving board looks amazing in any home and compliments any kitchen with the natural bamboo look. It's is a perfect kitchen gift idea. Whether giving it to your family member or friend, it makes for a great gift for any occasion, especially a wedding or housewarming gift. Purchase this cheese board set to help your loved one during events. One fantastic thing about it is that it is easy to clean and looks good on any kitchen that has a natural appearance. You need this three set of ExcelSteel Stainless steel colanders for handling food. They are not only made of durable stainless steel but are also light in weight with comfortable handles. Made of 100% Marble - a natural elegant stone with unique patterns and colorations. Due to natural variations in the marble, color may differ slightly from the images. Get this gift for your pastry chef to help them keep the dough cool and also prevents dough from sticking. They are also easy to clean and are made of beautiful marble. FORM AND FUNCTION EXQUISITELY PAIRED Grind Gourmet is the creator of the Original Pump & Grind salt and pepper grinder set. Similar looking mills on the market are evidence of Grind Gourmet's success, however, Grind Gourmet mills are made with a superior quality stainless steel, the core is solid steel, not plastic so pressure from grinding will not cause the mill to break. Once you use these mills you'll never want to be without them. Enjoy our environmentally friendly pepper grinders. FREE UP ONE HAND with Grind Gourmet's Original Herb Grinder. Whether you are adding Himalayan sea salt or peppercorns to a dish/recipe these salt and pepper grinders out perform other salt and pepper mills on the market. Our one handed pepper mill and salt grinder will allow you to grind some fresh sea salt seasoning onto a hard-boiled egg or burrito without having to put it down because thumb salt and pepper grinders do the work conventional two-hand operated salt and pepper mills require. This grinder is environmentally friendly and helps you grind other things like fresh sea salt. It will prevent the mess that is usually left after seasoning salt on food like boiled eggs. Gift your friend with something to measure both liquid and dry ingredients. These measuring spoons are a set of 6 measuring spoons. They not only have a beautiful design but are also easy to use. All a chef needs is a suitable cutting surface to quicken and make cutting ingredients fast. This HOMWE kitchen cutting board has easy to grip handles, is non-porous and also comes in different sizes. Cooking in the kitchen involves handling a lot of hot stuff. With these Homwe Kitchen Oven Mitts, reaching the oven and other hot plates will not be an issue anymore. Christmas is just approaching, and if you are thinking about gifting a loved with kitchen items, you could try any of the ones listed above.